As humans, we know we won’t live forever, but the impression we leave with others is immortal. Want that impression to be angelic like the elves? Here are some useful ideas to help you achieve that goal! Attitude is key. The first thing that anyone ever notices about you is how you act. And certainly that is what they’ll remember above all else! Elves are especially kind and generous, and leave a lasting impression upon everyone they meet. Everyone loves elves! We’ve always heard that ‘patience is a virtue’; well, the elves have it in spades! They have eternity to figure out how something works and just as long to complete their task. 1) First step to becoming elven-like, practice Patience. When you feel yourself getting annoyed at someone or something, just take a deep breath and think of something that makes you happy. If that doesn’t work, leave the room or your project and give yourself time to cool down before returning to it. Keep your tongue checked as irrational words can destroy friendships and the self-worth of yourself and others! We all make mistakes and have rough times, but a few things I’ve found helpful is to play some calming music and sing, or take a walk, to calm down. Remember, getting angry doesn’t solve anything, it only makes you and others feel even worse. Words can both destroy, and revive, so choose carefully what you say, for this alone leaves the greatest impression on others, for good or evil. 2) Second, serve with Kindness. Ever hear of a cruel elf? No, that would be orcs, my friends. Try to think of others and what you can do to help out. Elves are known as the helpers and friends of men, so let’s be just that! When you see someone who may be lonely, or sad, or who may be going through a rough time, talk to them and be their friend, even if no one else will be. Don’t limit yourself to just those like you, remember how everlasting Gimli’s impression and admiration was of Galadriel! All enmity was lost at her simple and kind words. What about enemies? 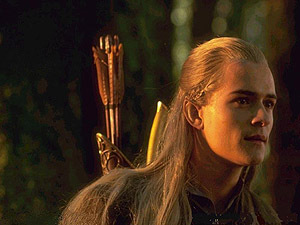 Legolas and Gimli were considered enemies, but how wonderful their friendship became once they gave one another a chance! Remember that nobody is perfect, but we are all human, and all of us need friends, encouragement, and recognition. Be friendly to everyone, even those you consider enemies. We’re all in the boat of life together, you know, and our needs are the same as everyone else’s, so let’s give one another a hand and keep the boat afloat! Maybe we’ll all reach our goals sooner if we each grab an oar. 4) Consume a Fruit Diet. Elves aren’t subject to sickness like we mortals are, but here are some tips to help keep you healthy and in good shape! ‘An apple a day keeps the doctor away’ they say, and it’s true! Try to eat fruits and veggies everyday, and drink orange juice as it improves your immune system. Avoid starches and dyes (especially red 40) as these can cause those little irritating facial spots, and, in some cases as I’ve found, sore throat and headache. You’d be surprised at how many things have dyes in them, so check the ingredients of the stuff you eat. If you can’t pronounce something listed there, I would recommend not eating it. I understand this can be hard sometimes, especially with the foods we love, but if one could see that ingredient by itself they would probably question its edibility. Lothlorien and Rivendell had beautiful thriving gardens, and no one wanted to be cooped up inside all day. Sunlight is good for your skin, contrary to what many believe, so feel free to go outside and enjoy yourself! Try to avoid sunscreens as much as possible as well, as many brands contain harmful substances that are actually a detriment to your skin and health, and may cause breakouts and itchiness. Avoid lotions with many chemicals and dyes (especially red dyes) and if you’re very paranoid about the sun’s rays and must have something on your skin, check the ingredients on your lotions for calendula oficinalis (marigold leaves) and aloe vera, as these are natural skin protectors and nourishers. If there is something in the list of ingredients that you can’t pronounce, don’t use it, everyone should know exactly what goes in and on your body, so stick to natural things like herbs and flowers. Drink spring water as much as possible or get a filter to cleanse tap water, as the chemicals such as chlorine and fluoride can be harmful to your health and not very tasty to boot. Water is very important to healthy elves, and is also the main ingredient to a successful diet! Most people who suffer from hunger are really just dehydrated and thirsty and needing a drink of water, rather than a meal! Walking is the best way to relieve stress, clear your thoughts, soak up the sun, lose weight, and many other good things! Try to take time out of your day to go exploring and listen to the sounds of nature rather than watch TV, talk on the phone, or listen to the radio. Don’t drive, as this is really just another form of being indoors. Breeze around the block or go to a local park and walk around, enjoying the gardens and the sounds of life you hear around you. Elves were those who ‘woke up the trees’, so try to stay in tune with nature and splurge on its benefits. Take time at night to look at the stars, as this can also be a great way to tune up with nature, be awed by beauty, and relax from the stress of your day. Elves are known as the most beautiful creatures to dwell in middle earth, and despite what you yourself or others may think of you, everyone is beautiful. There is truly no such thing as an ugly person. Your attitude is the most important thing that should be beautiful, and we’ve already addressed that issue: selflessness is key. 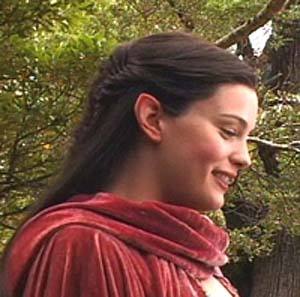 As for bodily appearance, elves have flawless skin, show-stopping hair, heart-throbbing smiles, and the list goes on. 8) Take good care of your Face. I’ve already mentioned that red dyes and starches are bad for your skin, so avoid things like Hawaiian punch and saturated juices that are more sugar than actually juice. Go for the natural stuff like juices and foods that have recognizable and pronounceable ingredients in them. Like I said before, everyone should know what goes in and on your body. Avoid touching your face a lot, as this can make your face dirty and clog more pores. Your fingers produce more oils than any other place on your body, and they’re also subject to becoming the dirtiest over the course of the day. Keep your hands clean and washed (for all our sakes), and touch your face as little as possible. This also can reduce your chances of contracting illness. If you’re like me and have tried everything there is on the market to clear your skin, only to discover that it either dries out your skin and makes it peel horribly, makes it redder, doesn’t work at all, works for a day or two and then stops, leaves behind acne scars, or makes it worse, then obviously, something has to change! Topical products with Salicylic acid as the zit fighting ingredient I found only dried my face out, and benzoyl peroxide made my face change into the color of the pimples rather than the pimples into my natural face color. If this sounds like you, I suggest using natural ingredients again. Burt’s bees has a wide range of natural products with natural ingredients that work well and smell nice. I use the pore-refining mask once a week to draw out deep-imbedded impurities, and I use the tomato soap for troubled skin to remove makeup, dirt, and oils, and I recommend that you find a cleanser to do the same. Even for you, Lords, who may not wear makeup, you still collect dirt and oils over the course of the day and should find a cleanser to remove them. If you can’t find a natural cleanser, splash your face with warm water, not hot as this can scorch skin, several times especially before bedtime. I find that doing this after brushing your teeth at night is the most convenient time, and it also helps to remind you to do it. Here’s a tip I found on naturalcures.com that is extremely helpful for diminishing spots and acne scars, and it’s easy and quick. You don’t even have to leave your house to buy the ingredients! After cleansing your face, dissolve 1/2 – 1 tsp of baking soda (yes, that’s right, the arm and hammer stuff) in 1/2 – 1 cup of really warm water and splash it on your face. Don’t rinse yet. Afterwards, dab a cotton ball or pad in apple cider vinegar and wipe over your face. ‘But Farwen!’ You say, ‘Ew!’ I realize it smells somewhat undesirably, but you can immediately feel it working. I encourage you to give it a shot despite the smell, you might be surprised! Btw, my Da used apple cidar vinegar on his hair for dandruff and it worked! Follow this immediately with a thorough warm water rinse, being sure to remove all of the soda and vinegar. To moisturize, rub a bit of aloe vera on your face and massage it in. Pure aloe vera plants (and fresh aloe is best) can be bought at your local plant store, or even hardware stores that sell plants; but if you can’t find a plant, you can get it bottled in the sunscreen or lotion isle in your local store. If you’re using a plant (recommended), pluck off a small part of the leaf (it doesn’t take much) and cut away the top layer of green to get down to the gel. Mush it a little bit with your fingers and then rub the gel on your face, but keep it on the leaf to prevent the depositing of finger oils. Really massage it in, and then wait for it to dry. Do not rinse, just go with it. Your skin will completely absorb the gel and leave your face smooth, soft, and nourished. The bottled stuff is very different from fresh aloe leaves; for one, it’s not so slimy. The slime, however, is the good stuff! ‘But Farwen!’ you say again, ‘Ew!’ Yes, it looks, and feels, like snot, but ‘Booger of Aloe’ as I call it has been used for millennia for purifying, beautifying, nourishing, and healing the skin. Once an aloe vera leaf is broken off, some of the healing enzymes and their potency dies very shortly after; therefore, bottled aloe vera, however good, is not as effective as fresh. Aloe vera, as I mentioned previously, is a natural nourisher, protector, and restorer of the skin, and can also be used on sunburns or as a hair gel. Mix it in with your shampoo for a scalp refresher as well! Another tip: Remember to wash your pillow case at least once a week. Dirt and oils, not to mention slobbers (we all drool sometimes), build up on your pillow and can clog pores. This is a very gross thought but true, so remember to wash your pillow case. It’s also a good idea to use only 100% cotton pillow cases. For more tips and these on how to clear up your skin, visit www.naturalcures.com and type in ‘acne’ in the search bar to get a whole list of useful tips. As for hair, remember to cleanse and condition. Pantene pro-v and the generic brands of this are always good to use. However, the chemicals used in these products can damage and/or weaken hair, so it’s best to use natural stuff. Burt’s bees has several natural ingredient shampoos on the market, and even one for dandruff. You don’t have to buy expensive products to get elven locks, just be sure that it’s clean and it will shine. Try not to use hairsprays and/or mousses and gels (unless it be pure aloe vera), as these can damage your hair, and, in some cases, slow down the growing process by penetrating your scalp and roots and clogging the hair follicles. If you’re worried about frizz, try braiding it if you can until it dries as this will effectively smooth out the fly aways and give you luscious curls to boot! (Just be sure that you don’t comb your hair after you take out the braids, as I’ve found this to resemble someone after sticking their finger in a light socket). Keeping your hair clean also allows your face a better chance to clear up, as grease from unclean hair rubbing against your face can dirty your skin and cause breakouts. As a note, the more you soak up the sun, the more also your hair will do the same, making it shine even more! to pin mine on about halfway down the braid, or six-ish inches (six loops) from your head, but go for where you think it looks best on you. As for apparel, elves dress very finely and elegantly. Well, since we don’t necessarily want to go walking everywhere in a suit or a gown that looks like something you’d wear to a wedding or expensive diner, here’s some other tips to give you the elvish flare! Try to avoid very bright colors, and stick to the softer more ‘naturey’ colors, such as baby blue, dark greens, deep red, black, brown, tan, silver and/or gray, white, satiny lavenders etc. etc. A top with these colors and a pair of dark blue jeans can say elvish any day, believe it or not. Note: One more important tip, try not to saturate yourself in jewelry. Elves depended upon their natural beauty to be eye-catching, and when they did wear jewelry they chose simple and elegant pieces, and in few quantities. A ring draws attention to your hands, and too many can diminish their beauty. If you’re self conscious about your hands, don’t wear a ring at all. Also, try to avoid nail polish, as this damages the nails and doesn’t look very pretty when it’s chipped. Let go of the fuzzy pom-pom earrings and long loops, as these can draw attention away from your smile and your eyes, which are the two main things that tell about your temperament and mood, and are also the most important things that leave an everlasting impression on others. Smile a lot, even if you don’t have straight teeth, smiling is contagious and makes everyone feel happy when you do, and it’s also another way to feel good and elven! And like I said, it’s the first thing one notices upon first sighting, and the difference between a frown and a smile can affect your immortalization process more dramatically than anything else. The position of your mouth let’s one know what your attitude is, and should reflect the happiness and friendliness from within you, which all elves possess. There is always something to smile about, even when you think your day is going really horrible, so find it and grin! I’ve never seen an orc smile, so do this to show you’re not one of those! Remember to use chapstick a lot as this eliminates much of the chapping and peeling of lips, and keeps them soft. It will also encourage you to smile more as you won’t worry about splitting your lips every time you move them! When they’re peeling or cracked, smother your lips in chapstick, then take a bit of brown sugar (I like to put in a little granulated white sugar too if they’re really bad) and rub it on your lips to exfoliate them. Wipe or rinse off and then renew a normal layer of chapstick. This is also good to do before applying lipstick. 12) A polished look with Makeup. Here are some eye-shadow/lipstick combinations that you Ladies may find helpful. If you’re going for the ‘rose’ look, try using a dark green or mint colored eyeshadow with a berry lipstick. If you’re going for an ivy look, try dark green shadow with a natural pink lipstick. If you’re wanting a more soft angelic look, try a very light blue, silver, or white shadow, with a natural pink or dusty rose lipstick. Gold or silver shadow with a berry or dusty rose lipstick may remind one of a Greek goddess or Egyptian queen (silver is softer, and gold is bolder). Over-all though, try to avoid makeups and stick with your natural beauty, as this also speaks volumes of positive things about your character and attitude (and prevents more breakouts). I hope you find this useful on your quest to become an angelic elf. Remember that impressions, first, last, and everywhere in between are immortal, even if we ourselves are not. does regular vinegar work? Or just apple cider vinegar? I have been a Council member since 2006 and I have never seen this article. It is wonderful and very helpful. Farwen, you put a lot of work into this and it is really very good. I do have a tip about chapstick. Check the ingredients. If the lip balm has camphor in it, do not buy it! Camphor is a drying agent and will only serve to dry out your lips more so you apply more and the lips dry out more so you apply more…you get the idea. A nurse gave me this tip. Again, thank you Farwen. Your tips on becoming more Elf-like are wonderful! Almost all chapstick brands will dry out your lips, however, Burt’s Bees does not, and if you are allergic to coconut they have some that are coconut free, just make sure you check the label. For washing hair, some use baking soda. And I have heard that some people use raw honey. However, I have not tried either. For lotion you can use coconut oil or Aveeno, as they use natural ingredients. When you bathe I recommend using warm water, as it tends to open your pores. And, if you want to at the very end of the shower you can turn the water temperature cooler as it will be nice and refreshing (and less of a shock when you get out of that nice warm water and into the cooler room-temperature air. I would also like to recommend drinking mint tea, all you have to do is buy a mint plant of your choice, plant it, boil some of the leaves (you don’t want to kill it, after all), and add honey to sweeten it. Not only does it taste good, it makes it easier to stay hydrated, and also gives you minty breath Also you may want to try cooking more with honey, for example, bread cooked with honey instead of sugar is both sweeter and softer. And using honey is also healthier. Having good posture makes you look taller and more refined. And if you want to appear even more graceful, you could take up Ballroom Dancing (also, guys you should know that girls love a good Ballroom dancer). Farwen, you have my thanks. This is wonderful! One of the best ways I have to encourage myself to take care of my appearance is closing my eyes and reminding myself I am a lady… But being an Elvish lady is even better! Thanks for the tips. I have found that a homemade face scrub is very helpful. Simply use sugar and lemon juice. I would start with a half cup of sugar and two tablespoons of lemon juice, then add more of the juice until you reach the desired thickness. You can vary this recipe by using brown sugar instead of white and adding in some honey. Sometimes I will put molasses in with the white sugar to make brown if I don’t have any of that on hand. I have even put a bit of fresh aloe in it. Thank you so much for all your hard work to create this article! It is very helpful! I really love this article! Thank you for posting it! This is a truly wonderful article. The steps really are simple, yet create natural beauty! I really enjoyed reading this, and am ready to be an Elvish lady.